Around the world, a number of frontrunners are emerging to assume a new role as catalysts for social change. By doing so, the concept of philanthropy is experiencing a powerful renaissance. In this new type of philanthropy, foundations no longer act as generous donors, instead they are catalytic partners assuming responsibility for putting complex challenges on the agenda. This new wave of change is called catalytic philanthropy. 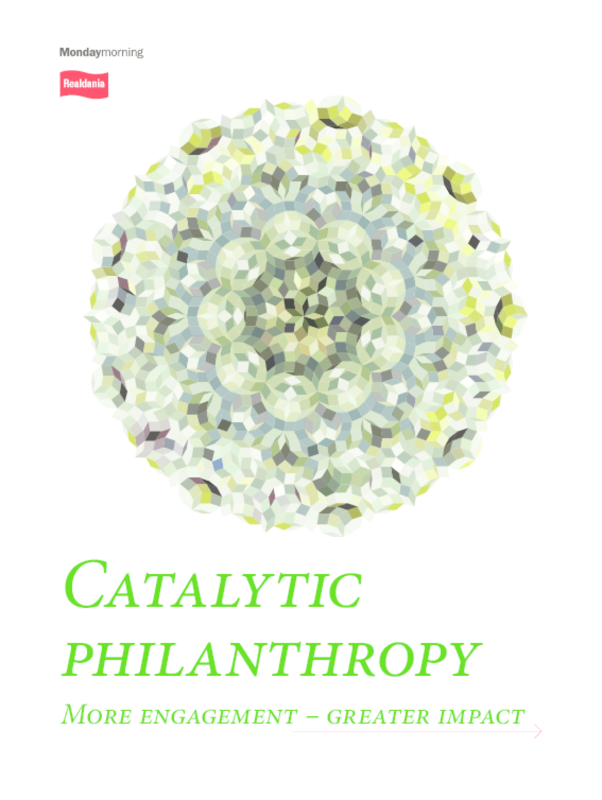 Monday Morning, in cooperation with Realdania, has mapped the potential of catalytic philanthropy in this document.